One of my favorite home decor boutiques, Open Door Shop, is now carrying baby items! The lovely ladies who own this boutique, Leslie & Marion, are the chicest of chic girls I know and were SO sweet to send baby #2 a few gifts from their new baby department. They recently added baby items to their boutique and it's no surprise because Leslie is expecting her first baby! Congratulations Leslie! And if sending me sweet gifts weren't enough, Leslie & Marion want to treat all you mamas and mamas-to-be (or if you're looking for a gift for someone who has a baby or is about to have a baby) who follow Proper Hunt with a discount code to get 20% off all of their Baby items from now until Sunday 3/1! Use the code PHBABY at checkout to get your 20% off Baby items. 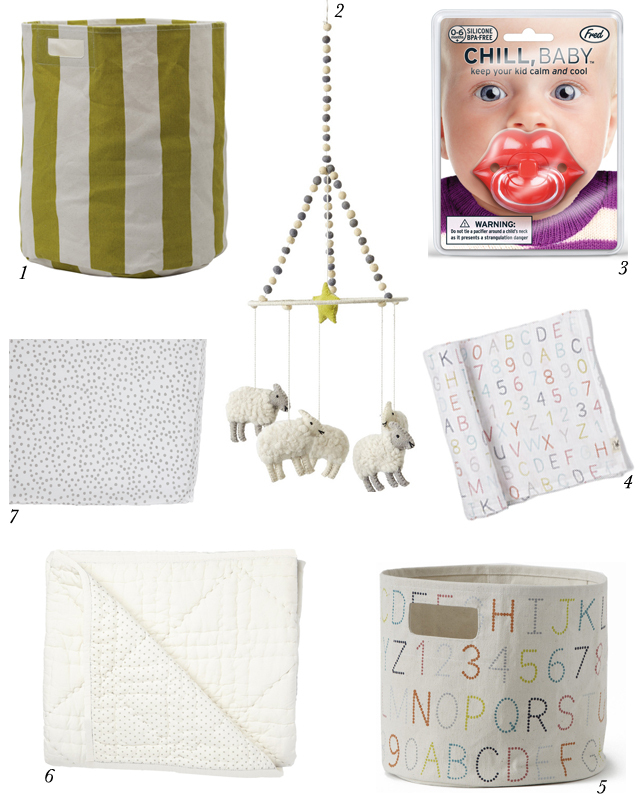 Below are some of the adorable items they have in their baby department. Happy Shopping!